Soon, “Cookies of Character” will be in smart new boxes under the name “West Cork Biscuit Co.”. The Chocolate Chip Cookie will be revamped with delicious higher-cocoa Belgian chocolate, and we’ll be introducing a new range of Pure Irish Butter Shortbread in a few months. Keep an eye here and on the Cookies of Character Facebook page over the coming weeks for more news. 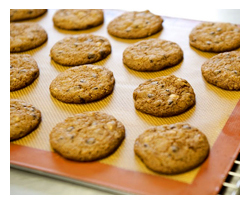 We’ll still be making the doughs in small batches, portioning and shaping the cookies by hand, then baking them in a traditional oven, and because every cookie we produce is individually hand-made no two ever look exactly alike; because we use the best ingredients we can find, they are all equally delicious. 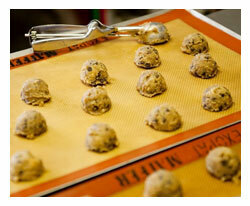 The unsalted Irish butter (the best there is, in our opinion) in our cookies means they melt in the mouth. The fresh free-range eggs we use exclusively in our products come from a small farm near Clonakilty in West Cork. Lots of the flour, oats and other ingredients used in our range are Irish. Added to these ingredients are Belgian chocolate, fine nuts and dried fruits, natural Bourbon vanilla, Irish organic milk and buttermilk and our own spring water, plus the talents of our craft bakers. 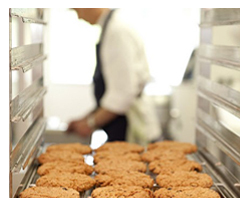 We never, ever use artificial flavours or colours; preservatives or stabilisers; emulsifiers or hydrogenated fats in any of our cookies.